Some of the design work that went into the construction of Mach Piccu is even more advanced than what we have today. The work is still intact, working and producing water after all these years! 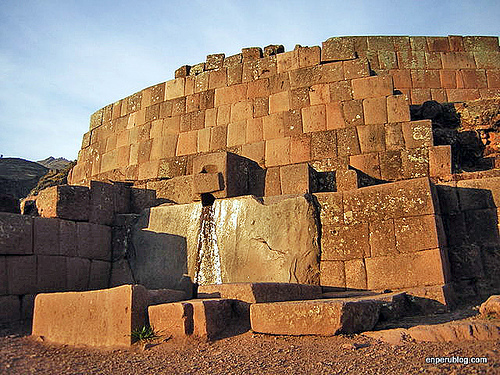 The channel that brings water to Machu Picchu is 750 meters long, 12cm deep and 15cm wide. For ever 100 meters of distance it descends 10 meters, so that gravity could maintain a flow of 300 liters per min. From the spring, the canal runs down the side of the mountain and enters the city, through the agricultural zone and into the urban zone. There are 2 points of control. If the flow is too high there are 2 spill points. One is over some farms and another at the main drainage point for used water. 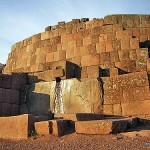 The water first goes to the Inca Emperors residence and then runs to the fountains for the city and it people. 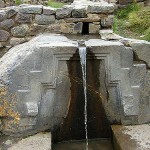 Each fountain had a spout made of stone that poured the running water into a rectangular pot. 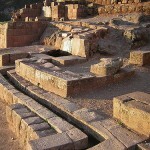 A drain would transport the excess water to another fountain. Under the grass of the central plaza, the ground is made of gravel so that the water can flow through it. This was almost like a filtering system. Drainage channels were kept well away from channels distributing clean water to the city. 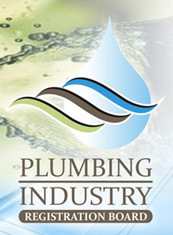 There is so much more to plumbing than what the average person thinks! Your style is so unique compared to other people I’ve read stuff from. Thanks for posting when you’ve got the opportunity, Guess I’ll just book mark this blog.